Dr. Ming Jiang received his Ph.D. degree in Electronics and Electrical Engineering at University of Southampton, UK, which tops all UK universities in this field for consecutive years, under the supervision of Prof. Lajos Hanzo, who is Fellow of Royal Academy of Engineering (FREng), UK, Fellow of the IEEE, and Fellow of the IET. Dr. Jiang has substantial overseas and industrial experience with Fortune 500 telecom companies, holding key R&D and/or management positions at Samsung Electronics Research Institute (SERI), UK, Nortel's R&D Centre in southern China, and telecom equipment maker New Postcom, China. He has led or actively participated in various international projects across the EU, North America and Asia on advanced telecommunication product/system design, standardization, as well as research on cutting-edge mobile communication technologies. 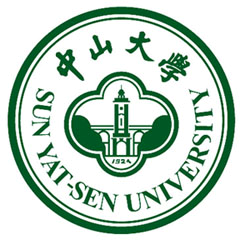 In June 2013, he joined the School of Information Science and Technology (now known as School of Electronics and Information Technologies, SEIT), Sun Yat-sen University, as a Full Professor and Ph.D. Supervisor supported by the "100 Top Talents Program". Dr. Jiang is the recipient of several Government Awards, e.g. Top Overseas Scholars of Guangdong Province, 100 Innovative Leading Talents of Guangzhou City, "1-2-1" Talents of Guangzhou City, Outstanding Experts of Guangzhou City, etc. He is also an IEEE Senior Member and an Accredited Senior Engineer in Communication Technologies in China. Currently, Dr. Jiang serves as the Associate Director of the State-Province Joint Engineering Laboratory of IoT Circuit and System Application Technologies, and Director of Guangdong Province Engineering Laboratory of IoT Circuit and System Application Technologies. Next-generation wireless mobile communications, including MIMO, OFDM, VLC, D2D, signal coding/detection, channel estimation, ICIC, CoMP, HetNets, SON, etc. Familiar with advanced mobile communication systems, algorithms, simulations, as well as international telecommunication standards including 3GPP LTE/LTE-Advanced and IEEE WiMAX. Has demonstrated sophisticated experience in scientific work publishing, patent applications, R&D, team mentoring, project management and multi-national collaborations. Participated in the Mobile VCE Core 3/Core 4 Research Program on Advanced Air Interfaces of Next-Generation Wireless Systems. As a core staff member, participated in Samsung's Global WiMAX standardization projects. As a core staff member and Samsung representative, also the Technical Interface of WG2 to the Concept Group, participated in the EU FP6 WINNER-II (Wireless-World-Initiative New Radio) project. As a core staff member and Samsung representative, also the Task Leader of two Tasks, participated in the EU FP7 DAVINCI (Design and Versatile Implementation of Non-binary Wireless Communications Based on Innovative LDPC Codes) project. As Manager and Tech Lead of the 4G LTE Simulation Team at Guangdong Nortel, Nortel's R&D division in southern China, accomplished 19 international projects for Nortel's global customers including tier-one operators such as Verizon Wireless, AT&T, T-Mobile, KDDI, etc. As Associate Corporate R&D Director and Director of Department of Systems and Standards at New Postcom, responsible for TDD/FDD dual-mode LTE Base Stations, Core Networks and WLAN product lines, as well as for 3GPP LTE/LTE-A standardization and advanced research, and also served as the PI of the RMB 8m (US$ 1.3m) Strategic New Industrial Development Project of the Guangdong Province, China, "Next-generation Mobile Communication Base Stations R&D and Industrialization" in 2011-2013. Journal reviewer: IEEE TWC/TC/TVT/CL/SPL/WCL/Access, IET Comms/EL, EURASIP JWCN, Wiley ETT, etc. Conference Session Chair: IEEE VTC (2017/2016), IEEE ICC (2015), IEEE WCNC (2009), etc. Conference TPC member: IEEE ICC/VTC/PIMRC/ICCC/WiMob/ICCVE/etc.